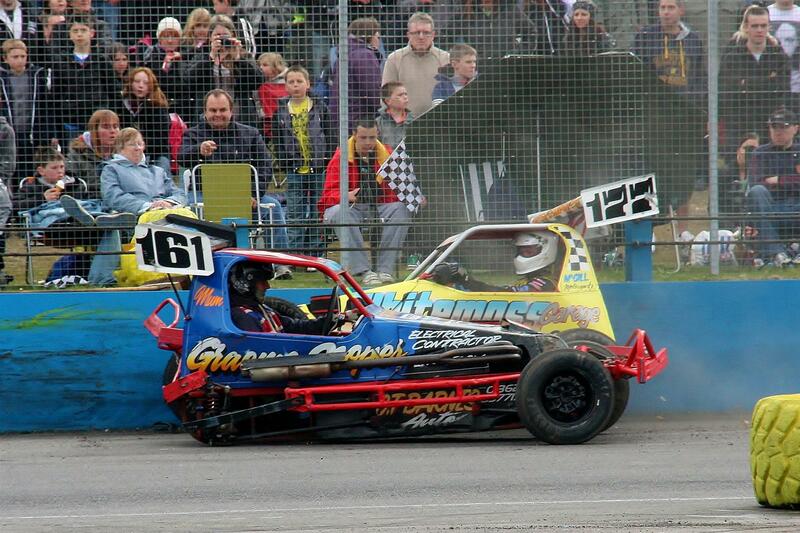 Spedeworth European Championship - Racewall - fun, exhilarating and dangerous! As a Superstox Spedeworth races were taking their, memorable, feverish run worldwide, after World Championship in 1961, so was the case in all the Europe. We have interviewed some folks who were there, back in the days, and they confirmed. It was a real formula fever in Europe. Classical 2 litter Pinto engines, beautiful formula-like vehicles, crowd, the overall atmosphere was a highlight no doubt. So was born the Spedeworth European Championship. A most memorable and high-status race that was held outside its Spedeworth’s promotion’s home circuits. The first ever Spedeworth European Championship was held in Baarlo, Netherlands, and was won by the Adrian Kleyngeld. The Netherland’s competitor also won the second European Championship in 1966 (Theo Jansen), but after that, most of the EU Championships was won by the England competitors. Here is the all-summarized table list of all competitors, years and stadiums.